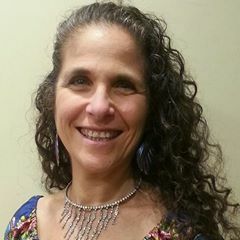 In this dynamic presentation Diann shares her Jewish background, some of her challenges as a young person, how she came to faith in the Jewish Messiah, Jesus, and how He has radically transformed her life. Diann also shares how God blessed her and gave her strength as she walked through the valley of the shadow of death with her missionary husband, Peter Parkas. Through this testimony congregants will be encouraged to trust in the Lord regardless of their circumstances. Diann’s unique choreography illustrates the message as she weaves her creative renditions into the presentation. Included are a dance recitation of Psalm 24, two dances entitled “Closer to Your Heart” and “Trust in You”, and a dramatic recitation of Psalm 27. This popular presentation demonstrates the Messianic significance of the elements of a traditional Passover Seder. The story of Israel’s exodus from slavery in Egypt is narrated through a series of object lessons. Jesus’ life and mission as the Lamb of God who brought redemption from slavery to sin are clearly seen in the viewing of this presentation. The Old Testament background of our Communion Service is also highlighted. A 40 minute presentation during a church service. A participatory Seder in which the congregants take part in a complete Seder including the dinner meal. Allow 2 -3 hours for a full Seder. A “Mini Seder” in which everyone participates in all of the elements of the Seder, but without the meal. This takes about 1½ hours.